Yogyakarta is a place that holds special meaning for us. It was the first trip that we (P, L and U) took together, soon after we hatched the idea of (plu)ral. The common wisdom is that travelling together is a make-or-break thing for any relationship and we passed with flying colours, even if we do say so ourselves! This year, we were two and not three, as L had to get back to the real world and his full-time job – but we’re sure he was with us in spirit and we certainly tried to eat for three, in his honour! 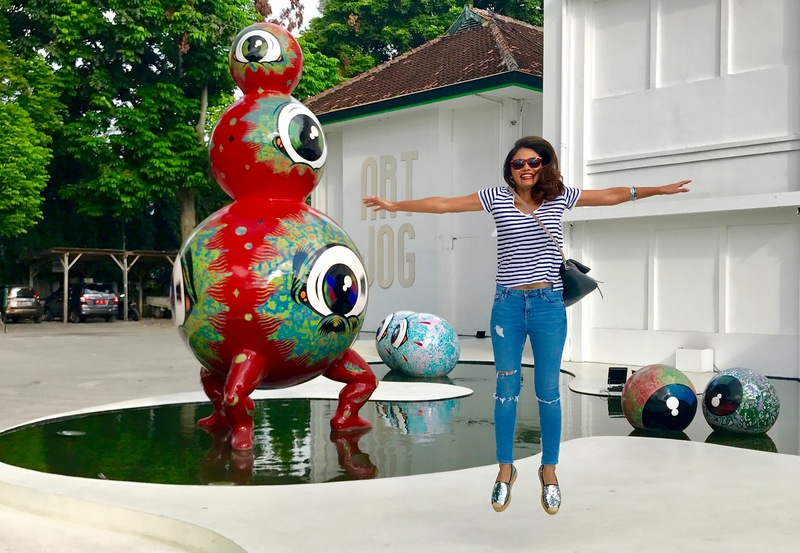 So here’s the down and dirty on this year’s Jogja Joget (essentially just a day and a half in the city) – the art we saw, the people we met and, as always, the food we ate. Many of the young millenials visiting the show, however, seemed to not only be perfectly comfortable with the visibility of their lives on social media, they were, in fact, happy to be complicit and active participants in this display. Taking advantage of the very Instagrammable works in the show, posing with the artworks was very much the order of the day!